Berlin - Windows 7 won't be available in stores until October 22, but Microsoft has already announced various pre-ordering options for the replacement to Vista. To lure users into making the jump, the company is promising that anyone who buys a new computer now with Windows Vista versions Home Premium, Business, or Ultimate will receive a copy of Windows 7 in the fall. The offer is valid until January 31, 2010. Those interested in acquiring the upgrades must buy a computer during the promotion from a manufacturer participating in the upgrade program. Purchasers must register online with the PC's manufacturer to take advantage of the upgrade option. Customers must also be prepared to pay a processing fee of around 30 dollars. Users should be aware that Windows 7, including the "upgrade" versions, cannot be installed over an existing Windows Vista system. "A complete new installation of the operating system is required," says Niels Held from Germany's Chip magazine. Microsoft requires that step to meet the legal requirements placed upon it to ship Windows 7 packages without Internet Explorer pre-installed. Users are advised to back up their data before installation. Held sees no good reason to wait to make the switch. "The operating system has been subjected to long and extensive testing," he says. Windows 7 also offers firm benefits over its predecessor. The system runs significantly quicker than Windows Vista. It is also much better equipped with features and security functions. Windows 7 is also less demanding in terms of hardware than its predecessor. "The new Windows runs without problems on devices a year or two old, faster than Windows Vista no less," Held says. Microsoft is offering owners of older systems an affordable update program, as well: starting on July 15 and running through mid August, the Windows 7 Home Premium E operating system can be ordered for about 49 dollars - as long as supplies last. Those supplies were indeed run through quickly for many online dealers. Consumers unable to reel in a copy from online dealers can still try to find a reduced price copy of Windows 7 at a bricks-and-mortar dealer. Microsoft has indicated that it will be offering discounted versions of its new operating system even after the promotion ends. Between October 22 and December 31, the full product will be offered at the price normally associated with upgrades. 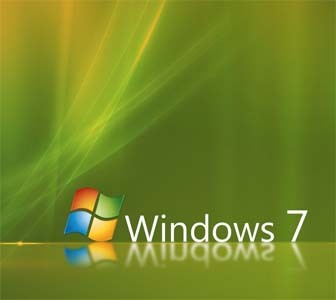 Windows 7 Home Premium is priced at nearly 120 dollars, while the Professional version can be had from 285 dollars. The Ultimate edition costs 299 dollars. Just how much the operating system will cost after January 2010 is not yet clear.